Second album from the Anticon approved Fog crew. The work of one Andrew Broder and friends, the first album sounded a lot like what would of happened if Beck circa 'O-Delay' decided to work with Anticon rather than the Dust Brothers but that's a whole different story. ' Ether Teeth' is one mightily impressive album as these spot on words from the Ninja Tune press release affirm. 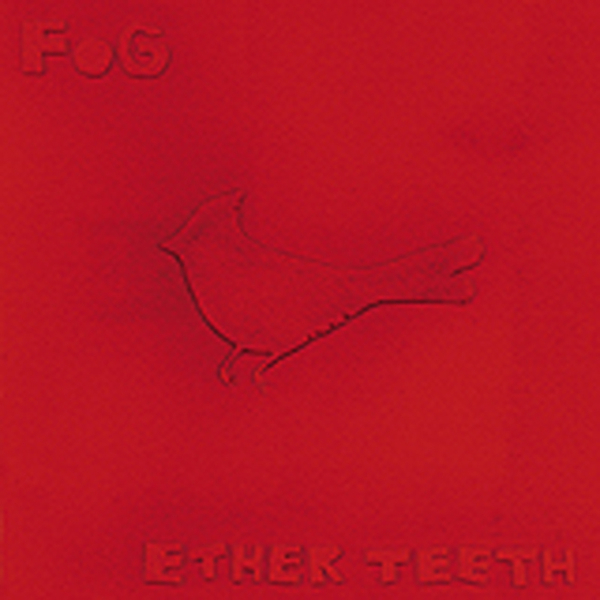 "Ether Teeth, Fog's second LP, is, in his own words, "a heavy-headed hopeful opus, an urban vaudevillian symphony about birds, war, mystery, jealousy, old tyme dudes and most importantly, L-O-V-E. (I know, I know...)." Recorded in sequence to 2 inch tape at Third Ear Studios in Minneapolis with Tom Herbers (perhaps best known for his work with Low), "Ether Teeth" finds Broder both expanding the range of his sound and becoming more focussed in his approach. And while often dark or melancholy, his lyrics never lose their sense of humour or thought-provoking imagery. He feels that, this time around, his vision of a collision of turntables, piano, poetry and god knows what else are fully realised. The turntable is used extensively on "Ether Teeth" but Broder is confident that he has found a way to put it on an absolutely equal playing field with all other instruments on the record. "It's not thrust in your face or romanticized, but used with restraint and subtlety." Running turntables through different amps, and using different rooms, mics and effects was crucial to the recording process of the record and we think you'll agree that (if you can even tell when you are hearing them) you have never heard turntables used like this before. So what does it sound like? We could give you some trite Bonny-Prince-Billy-meets-Kid-Koala-and-Randy-Newman-at-the-Anticon-house straw to grasp at, but it would only piss you off and wouldn't get you any closer to where Broder's going. Let's just say that it's a pretty unique record from a pretty unique man, a great big American symphony made out of scraps and after-thoughts, somehow sophisticated and naïve in equal measure.